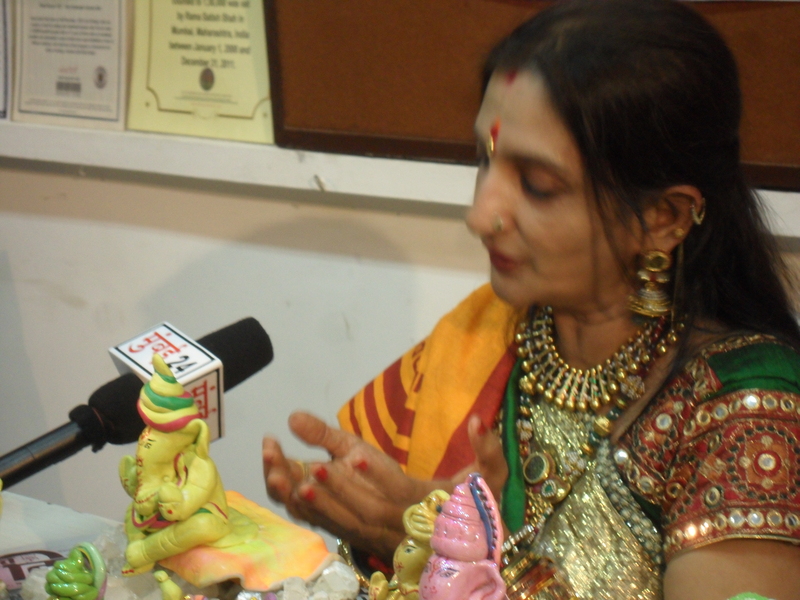 Rama Shah has been making Lord Ganesha Idols since last thirteen years in all different shapes & sizes, without using any mould, while chanting shlokas and mantras with best wishes. 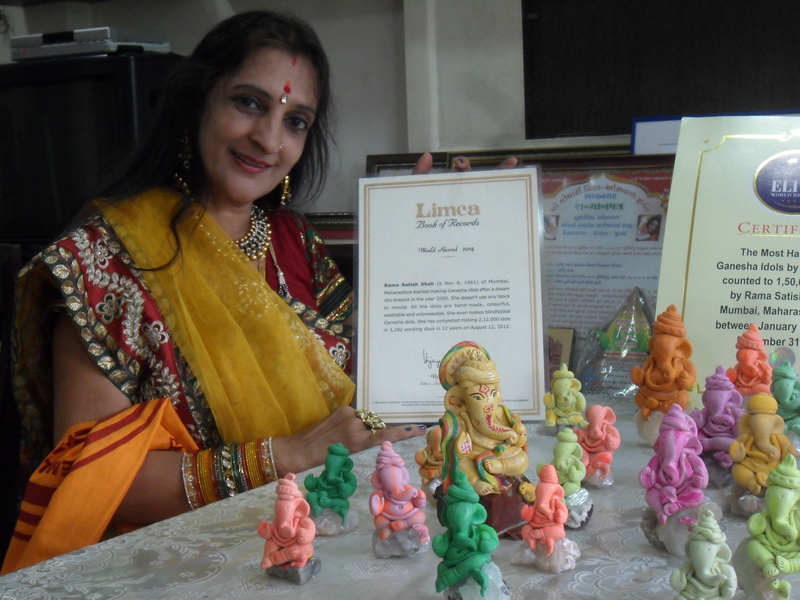 All these idols are hand made by her, different, unbreakable, washable and very beautiful. 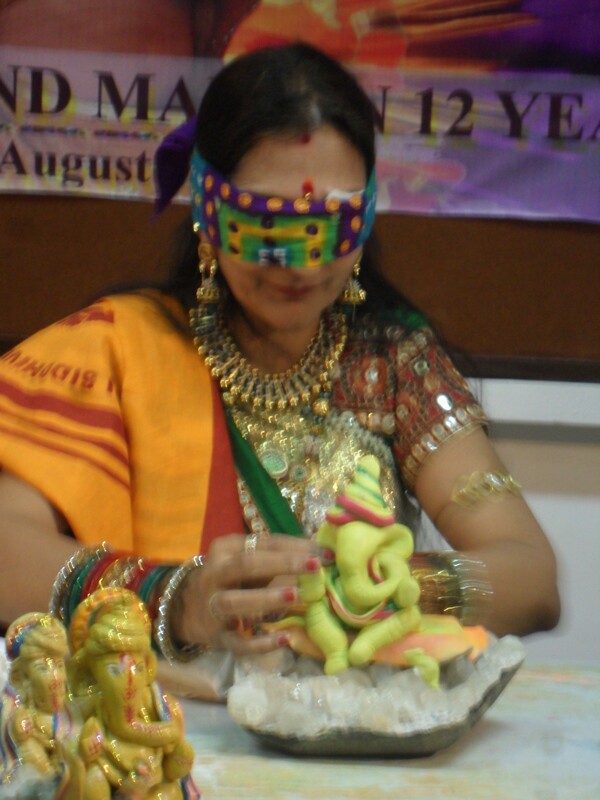 She also makes the idols with her eyes closed (blind folded). 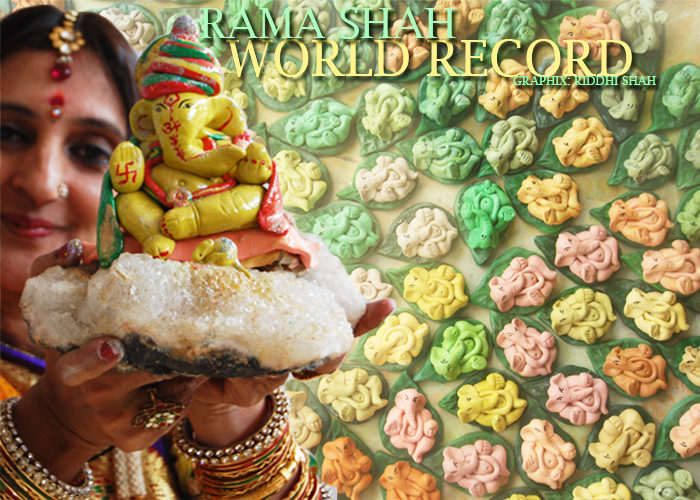 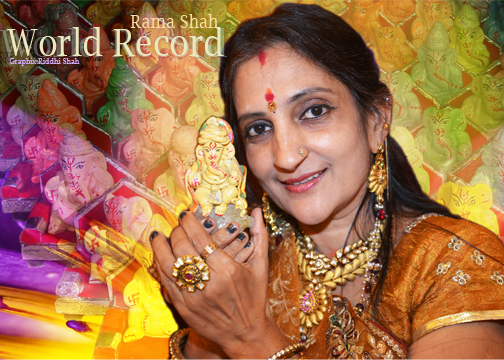 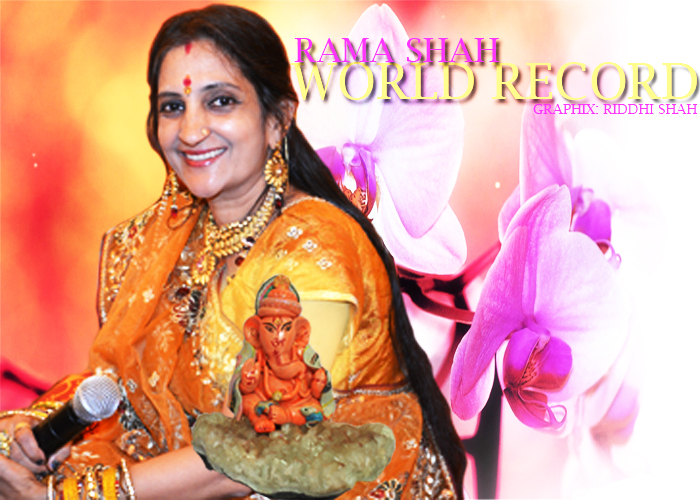 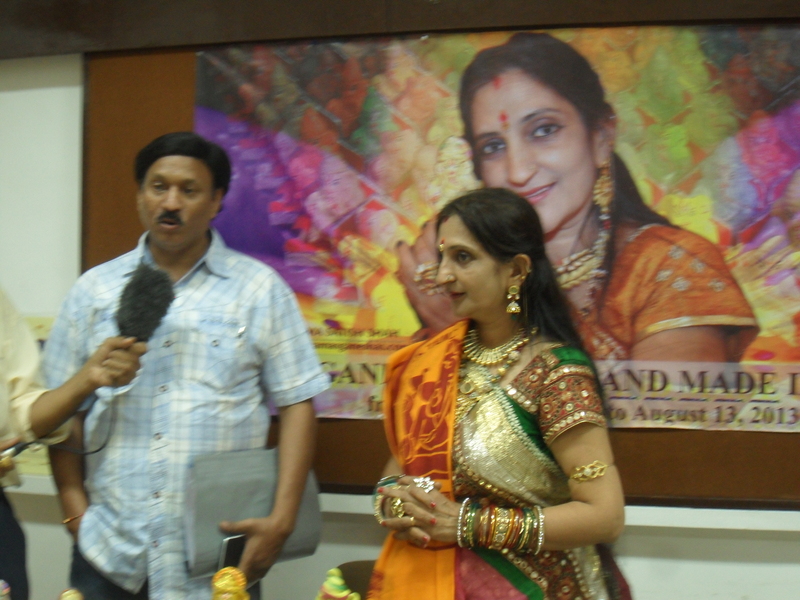 She completed making 2,53,000 Ganesha Idols, all hand made by her on 13th August, 2013. 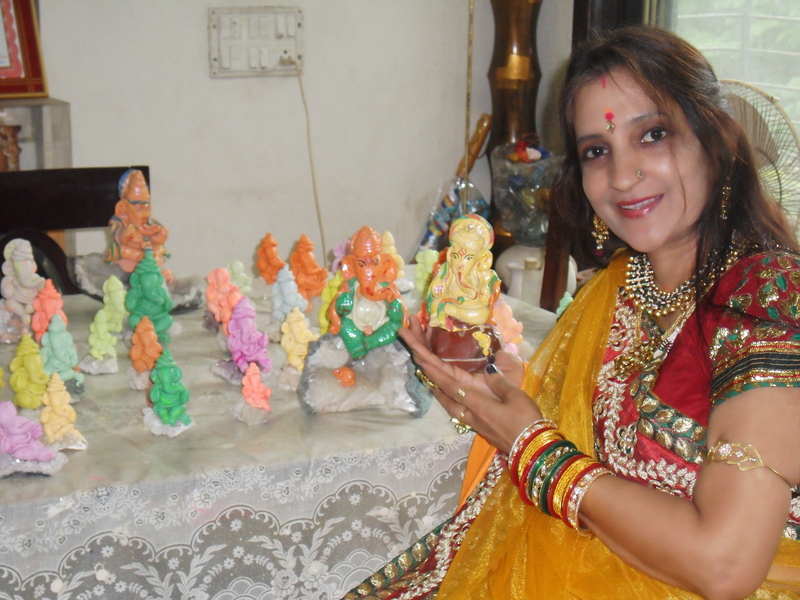 Tagged Blind Folded, Ganesha, Hand Made, Idols, Narendra Modi, Rama.